Don't "ghost" your therapist — use the situation as a learning experience ... for both of you. Finding a therapist that’s the right fit for you can be a challenge, and you may go through a few before you find the perfect match. This means you might have to break up with a couple of therapists along the way, and that can be a hard truth to face. Once, I had to break up with a therapist because I no longer felt a connection with her, or like she was really listening to me. I kept delaying cutting ties. My anxious inhibition was likely linked to the fact that a therapist, though providing a clinical service, isn’t like a dentist or a PCP. A therapist is someone who you may feel knows you better than you know yourself. “It feels tricky to break up with a therapist because the basis of the working relationship is an intimate bond,” says Sarah Epstein, a marriage and family therapist. “Your therapist knows the parts of you that you keep hidden from the people in your life. They know your struggles, your triumphs, your insecurities and your journey." A therapist is also somebody you typically see far more frequently than a PCP. Your therapist knows the parts of you that you keep hidden from the people in your life. They know your struggles, your triumphs, your insecurities and your journey. Knowing how to go about this breakup tactfully should help lessen any anxiety you have about it. Tess Brigham, a psychotherapist and life coach adds that if you find yourself wanting to ghost your therapist, you should ask yourself if this is a pattern in your life, and whether you fear having hard conversations. “This is your opportunity to work on something significant that could change how you approach other tough conversations,” Brigham says. Remind yourself that you are not getting what you need out of this relationship, and you are not being fair to yourself by staying. Explain your decision with your therapist — face to face — as honestly as you can. This is your opportunity to work on something significant that could change how you approach other tough conversations. Epstein recognizes that calling on clients to end their relationships with therapists in person is “a huge ask in a culture where ghosting is the norm,” but that having this direct and honest talk can actually help you. Use your full session time to discuss your decision to change therapists or quit therapy. If you’re feeling a disconnect with your therapist, they’re probably feeling it, too. What exactly should you say? The more specific you are about your reasons for leaving, the more your therapist can understand you and whom to potentially refer you. If a one-on-one talk just isn’t doable for whatever reason, write a polite email. If you made breakthroughs with your therapist, let them know. This is hard work for them, too, and any acknowledgments of your successes with them will be valued. “I really appreciate it when clients say, ‘I am feeling so much better, and I learned so much and I don't feel I need to continue therapy’,” says Zakeri, who recalls one client who ended therapy in a way that felt celebratory of all that they had accomplished together. Be sure to ask your therapist for a referral to another clinician if you wish to continue therapy elsewhere. 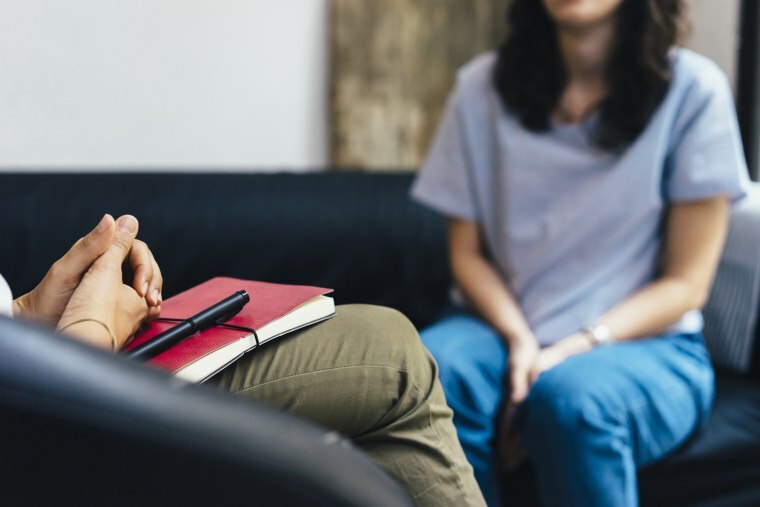 “If you can end a therapeutic relationship with your therapist honestly and openly, they may be able to help you find somebody who is a better fit,” says Epstein. Brigham says she’s always happy to help a client find that better fit. I think a lot of people struggle and feel badly for wanting to leave, but as therapists, we understand. The therapist with whom you’re cutting ties should not be forever lost to you should you decide to resume therapy in the future.